A Quilted Christmas Coming to a Store Near You! 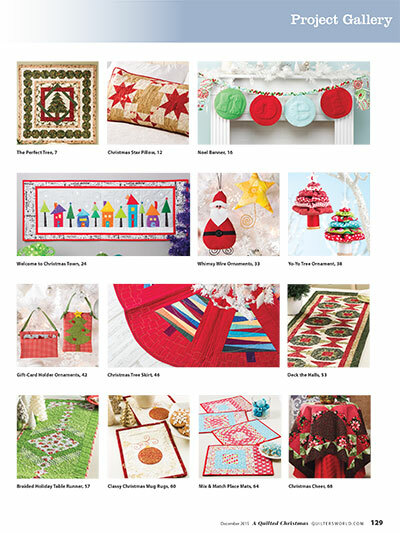 A Quilted Christmas published by Quilter’s World and Annie’s Publishing is coming soon to a store near you! 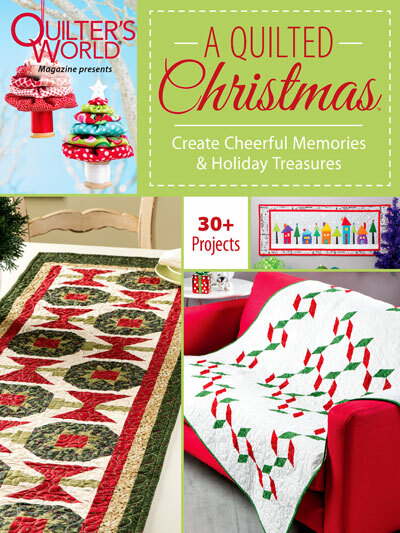 This is a great collection of over 30 holiday projects. 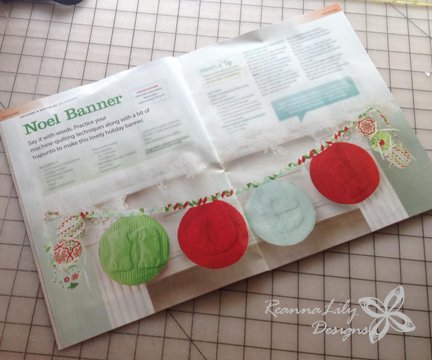 I’m honored to have my Trapunto NOEL Banner included in the mix. Make the banner with the trapunto or without. The letter templates are included in the magazine, or simply spell a different word using fonts on your computer! Solid fabrics compliment Kate Spain‘s NEW Jingle fabric line by Moda and the little ball ornaments in the banner feature the prints. Make ball ornaments or make adorable snowmen! The design is wide open for your imagination. Grab your copy at your local retailer or online at Annie’s Craft Store. *Some photos for this post have been borrowed from Annie’s Craft Store. This is so cool! Can’t wait to buy the issue that has the famous Jen E in it.